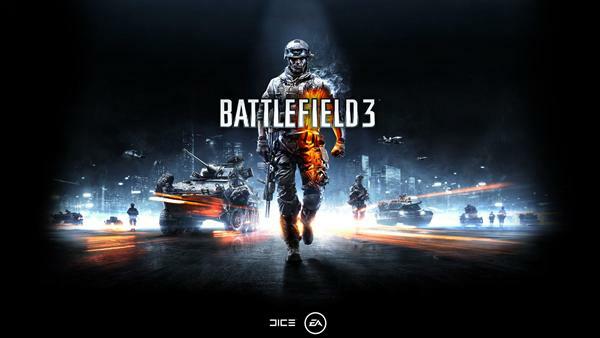 Battlefield 3 is a game of two halves, complementing its core multiplayer mode with the first single-player campaign to grace the core Battlefield series. Multiplayer is still the main locus, especially as the campaign is essentially a Greatest Hits compilation for the past decade of shooters, with Little in the way of unique appeal Developer DICE has shoved in every memorable moment from the Last few years, from Crisis' HALO jump through to Modern Warfare's AC- 130 mission. This isn't to say that the single player is terrible, however - it's everything you'd expect from a modern shooter and it's presented with efficiency, if not flair. The main disappointment is that DICE hasn't pushed its Frostbite 2 engine to the limit and keeps events cripplingly Linear. It all clips along all great pace, but it's a shame that you don't get the same sense of scale as you do from multiplayer. Graphically, Battlefield 3 is a step ahead of the competition. Several times our mouths were on the floor at the digital wonders our graphics card was rendering. The stunning lighting, and particle and smoke effects are better than anything else we've seen; white there are some holes, such as how the NPC facial animations remain disappointingly stoic, they don't ruin the experience. Not surprisingly, the multiplayer is Battlefield 3's main attraction, and it's gratifying to see that it not only meets, but exceeds, the expectations set by EA's anti-Activision marketing campaign. Huge maps offer a wealth of tactical options littered with powerful vehicles and destructible terrain, with the focus instantly dropping to personal combat when you spot a foe. The amount of destructible environments is much improved since BF:BC2; multiple buildings, huts, towers and trees all collapse to varying degrees under fire. After a lengthy battle, an area can took utterly devastated, with the game's urban levels in particular looking like smoking ruins. It's an awesome feature and, as in BF:BC2, it adds a new dimension to the multiplayer gameplay. The 'feel' of the combat has also been improved. Net code and hit detection are now much better, although BF3's guns retain their recoil properties that make assault rifles ineffective at long ranges. Having spent years playing Call of Duty, where even diminutive weapons are super-accurate, it takes some getting used to, but it's also a relief to now survive out in the open for longer than live seconds. The unlock-based progression system causes some issues at lower Levels by not handing new players useful extras such as the teammate-reviving shock paddles or tank destroying C4. You'll soon unlock these, however, and the weapon balance is such that, at this point at least, no class or unlock seems to be unfairly balanced or overly powerful. While Battlefield 3's multiplayer gameplay is superb, the infrastructure surrounding it is clumsy, despite requiring EA's Steam-a-like Origin download service to install and activate, BF3's multiplayer (and indeed, singe-player) is handled by a separate system, dubbed Battle Log. This runs from inside your web browser and is part server browser and part social network; while it works, it's a pain to have another service layer on an otherwise slickly assembled and superb game. •	Looks amazing at 1080p High-Ultra settings. Read all about the Facebook game Outernauts and know the different features of this game. Read its complete review along with information regarding the gameplay and user interface of the game.